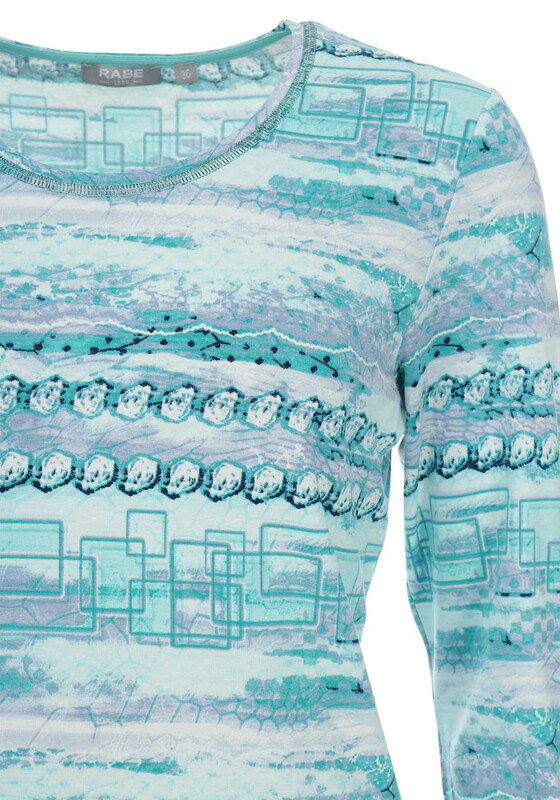 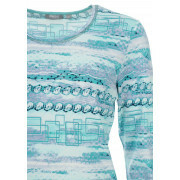 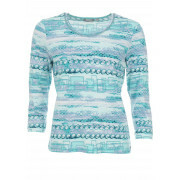 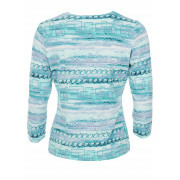 Presented in a bright aqua blue shade, this top from Rabe would be a great update for your casual collection. 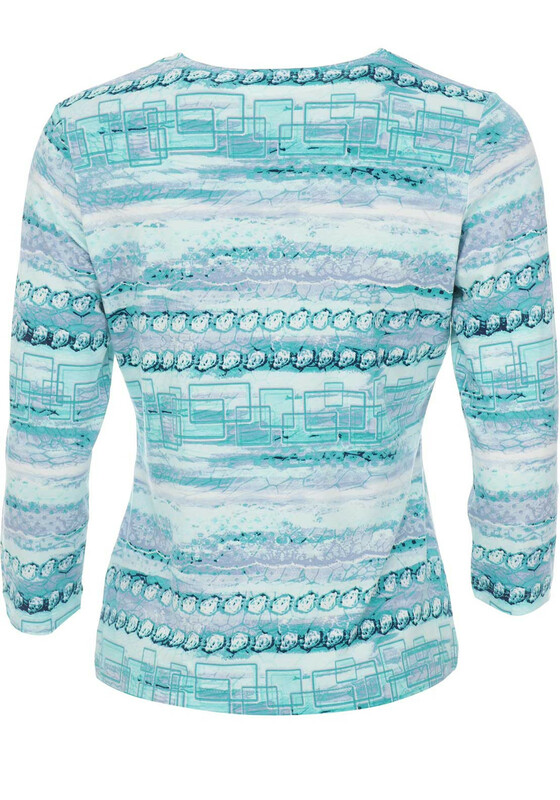 Made from soft and comfortable jersey fabric with an eye-catching print throughout. 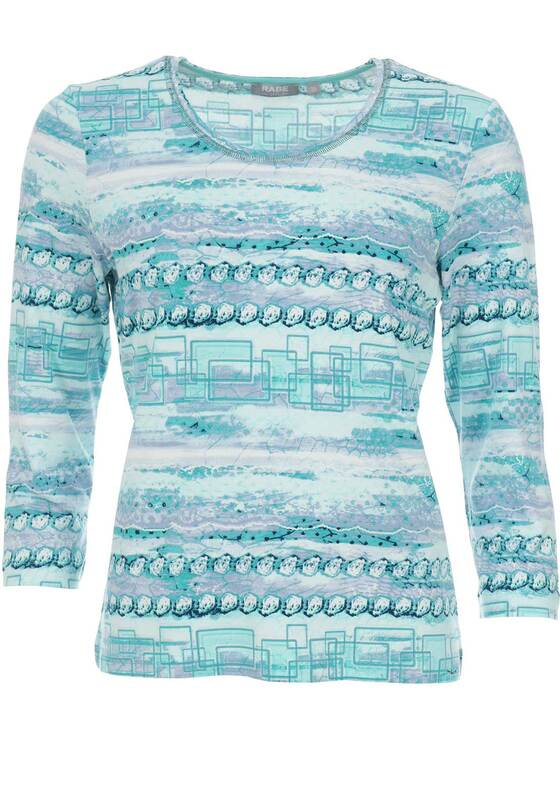 Styled with cropped sleeves and a figure skimming straight shape.